The Big Idea - If you haven’t checked out the Overview of tables yet, then you can do so here. What happens at a Table Gathering? 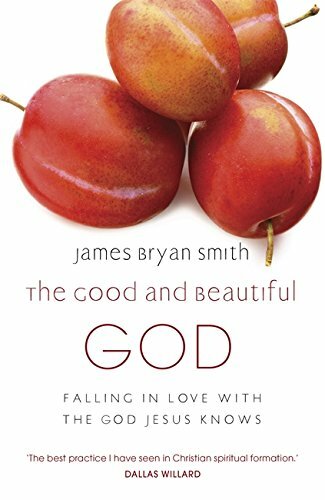 Throughout Season #1, Tables will be exploring the book, “The Good and Beautiful God” by James Bryan Smith. We all have formed ideas about God as we have journeyed through life that affect our viewpoint of Him, some are true - but many are false. James Bryan Smith believes that these thoughts determine not only who we are, but how we live. Tables take place twice-a-month and in two seasons-per-year (Oct-Jan, Mar-June) because we value the importance of simple, sustainable rhythms that give us life and not busy calendars with hectic schedules. If you are comfortable a different leader or an able participant could guide the conversation each week. To help the conversation flow it will be helpful to have familiarised yourself with the content, working through the chapter for that week. Each chapter corresponds to a discussion guide that can be located towards the back of the book that can be used as a loose framework. Tables should be places where we share the highs and lows of life together, supporting each other and showing practical displays of love. It is appreciated that there may be some larger issues that you may become aware of as Table leaders and feel ill equipped to deal with. If this is the case then please contact a member of the Pastoral Care Team. How does someone join a table? There are two ways in which someone can join a Table. They can sign up online through the groups directory or they can email matt@redeemercentral.com and we can plug them into a Table. To enable an encourage participation we try to keep each group around 14 people. This number takes into account a few limiting features such as, meeting in homes, space around a table and ease of discussion. Should we eat a meal at every table gathering? The ask is that your Table would share a meal together at least once a month. This does not mean that you are solely responsible for the meal. Encourage your group to get involved and pitch in by bringing sides, mains, desserts or drinks. In this video, you will see a short walkthrough of how to use ‘Groups’ on Planning Centre. Keep your group up to date via the Settings Tab on the Left-hand side. To ensure that you keep everyone in the group informed use "Email all members" button, - don't rely solely on Whatsapp as you may miss a newcomer. In this video, you will see a step by step demonstration of the process of enroling in a Table. Click on "Join this group." Enter Email address and send the request. In this video, you will see a step by step demonstration of the process of accepting a request to join your table. In this video, you will see a step by step demonstration of the process of how to add an event to your group calendar as well as setting the location of your Table. Click on "Create a new event." You still need to save the event (which can be done after adding a location). In the location section, select your location, if it's not available, then "Create a new location." Save the Location, and you will we able to use this location from now on. To finish creating your event, type a brief description of the night and then click on "Create Event." To delete a date in the diary, select the night in question, edit the event and scroll to the bottom of the webpage, then click on "delete the event."